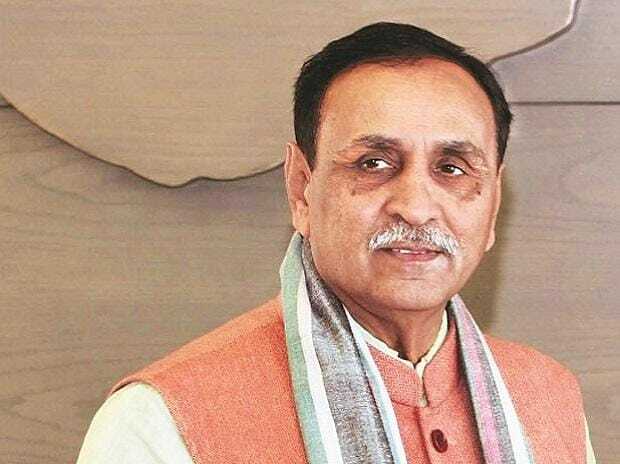 Gujarat Chief Minister Vijay Rupani took ill Friday morning and his health deteriorated later in the day, leading to cancellation of his official engagements and a trip to Junagadh, said a medical bulletin issued by the state government. Rupani, said to be stable now, was forced to cancel his trip to Junagadh after his health deteriorated in Rajkot, said the bulletin. The 62-year-old chief minister has been diagnosed with swelling on intestines and advised rest by doctors, it said. All his engagements of Friday evening and also Saturday were cancelled, officials in the CMO said. Rupani was supposed to receive Uttar Pradesh Chief Minister Yogi Adityanath at the Rajkot airport. From there, both of them were scheduled to visit the ongoing Shivratri fair at Junagadh town, which has been declared as a 'Mini Kumbh' by the Gujarat government, the officials said. Though Rupani was down with fever in the morning and also complained of vomiting, he left for Rajkot from Gandhinagar after a primary check-up by doctors, said the bulletin. However, his health deteriorated after reaching Rajkot, forcing him to return to Ahmedabad, where he was taken to the Civil Hospital for check-up, it said. However, doctors have said there is no need to worry as the CM's health is stable now, said the bulletin.